Most bodybuilders prefer to use Testosterone esters in combination with Nandrolone Decanoate (Deca). Sustanon 250, as a mixture of testosterone esters, becomes a perfect candidate for this combination. In this article we will regard the properties of the Sustanon 250 + Nandrolone Decanoate combination and how to use it correctly. 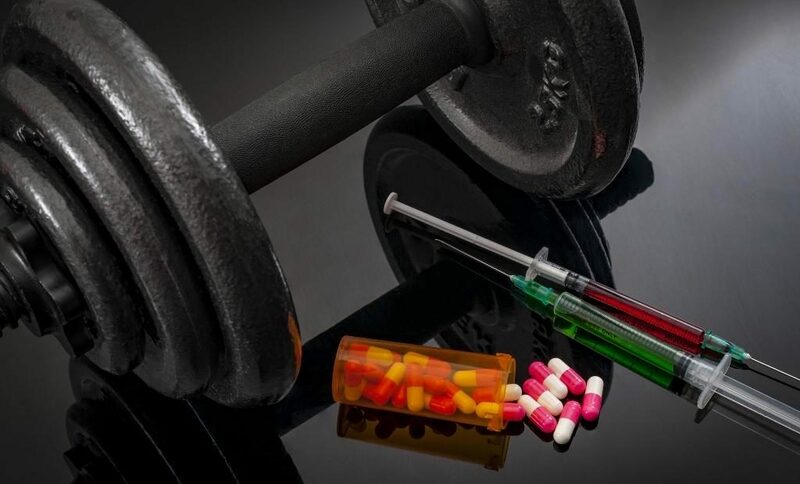 First of all, it is significant to say that both drugs are very powerful substances which are widely used in bodybuilding for gaining of muscle mass. At the same time, this combination greatly increases strength. According to different reports during eight-week cycle (Sustanon + Deca) one can gain up to 10 kg and increase one’s strength by 25% of initial level. Deca-Durabolin has low level of aromatization and very low androgenic properties. If it were not for the progestogenic activity, this steroid would definitely become one of the safest AAS. This drug accelerates hypertrophy of muscle tissue, increases strength, improves joint-ligament system, increases absorbtion of nutrients in the digestive system, strengthens bones and makes immunity more efficient. The steroid consists of four Testosterone esters, which have different half-life period. As a result, it has quick and prolonged effect at the same time. Its properties completely coincide with properties of Testosterone itself. As Testosterone esters are prone to aromatization, there is a risk of estrogen related side effects (e.g. gynecomastia). Therefore, in order to prevent them you should include anti-estrogens into your cycle. And Anastrozole is one of the most powerful drugs in this group. It can greatly reduce the concentration of estrogens, as it inhibits the enzyme converting testosterone into estrogens (aromatase). Since both steroid of this combination suppress the production of endogenous testosterone,it is necessary to take Pregnyl (HCG – Human Chorionic Gonadotropin). This drug maintains the function of testicles, thereby preventing their athrophy. This drug is necessary for the cycles including Nandrolone or Trenbolone. These steroids have progestogenic activity, which increases the concentration of female hormone prolactin. In males high levels of prolactin may lead to unpleasant consequences. Cabergoline induces the secretion of dopamine, which in its turn reduces the level of prolactin. You should do Post Cycle Therapy after each steroid cycle. For this combination we recommend Clomid, since Tamoxifenis not suitable for Nandrolonecycles. Clomidwill accelerate the recovery of testosterone producing system. The duration of this cycle is ten weeks. This time is enough to fully reveal the potential of Nandrolone, which has slow onset of its effects. From 2nd to 12th week on the 8th day of your cycle start taking Anastrozole 0.5 mg every other day. The Nandrolone Decanoate and Sustanon 250 combination can produce a synergistic effect. If you follow these recommendations you can achieve excellent results without undesirable side-effects.